We live in a golden age of activism. Daily, tens of thousands of human citizens band together to defeat the most monstrous of all causes. From Megakota to dictionary modifications, view the best of humanity's innovation as told to you by weird petitions on Change.org. 1. Petition: "Demand Head & Shoulders Create a Body Wash Called Knees & Toes"
Cause: "This issue is pretty self-explanatory. The injustice of having only Head & Shoulders, but not Knees & Toes has gone unnoticed for too long, but I say no more. After this revolutionary product hits the shelf, we also expect Eyes & Ears & Mouth & Nose face wash. This is a duty that Procter & Gamble, and our president, has to the American people. Please, my fellow citizens, help me change the foundation on which our follicles grow and by which our skin is moisturized. With your help, we can end the injustice of the segregation of our lower body." 2. Petition: "Petition to Use the Word 'Yerp' In Place of the Word 'Phone,' Just Because We Can"
Cause: "The people in support of this petition move that the use of the word 'yerp' should be dedicated to replacing the use of the word 'phone,' as it is a commonly used noun, and 'yerp' has been deemed an entertaining word to use according to a general consensus. #YesToYerp #YerpMovement #ILoveMyYerp"
3. 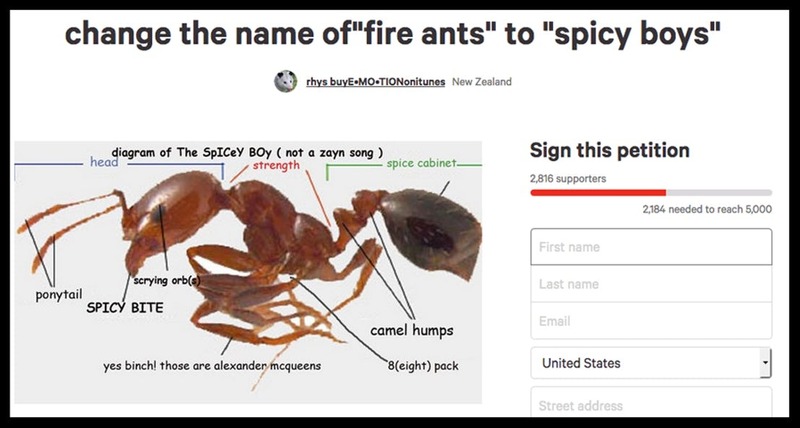 Petition: "Change the Name of 'Fire Ants' to 'Spicy Boys'"
Cause: "Women all over are silently getting their feelings hurt [by] this awful and gross-sounding word. There are some women who do not mind this word ... If we end usage of this word, they will likely not miss it, and the rest of us will be spared. Thank you for your time and thoughtful manners." 5. 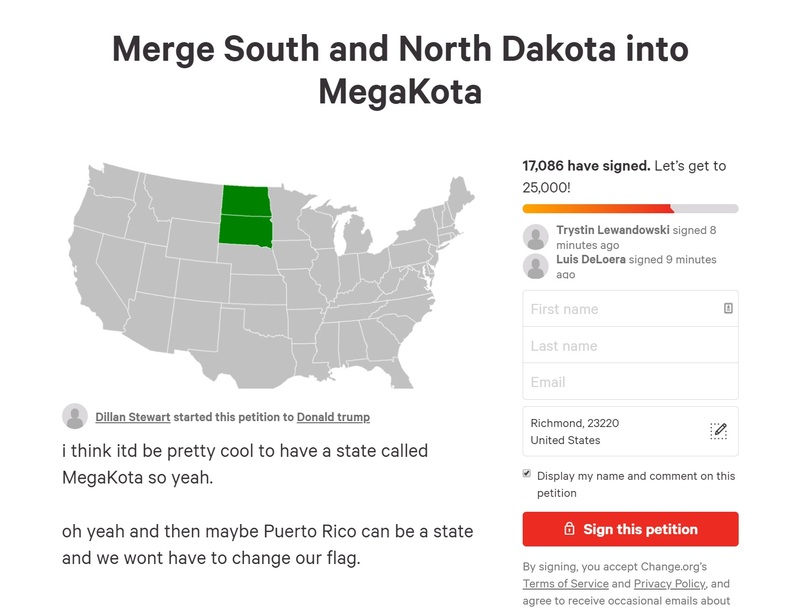 Petition: "Merge South and North Dakota into MegaKota"
Cause: "I think it'd be pretty cool to have a state called MegaKota so yeah." 6. 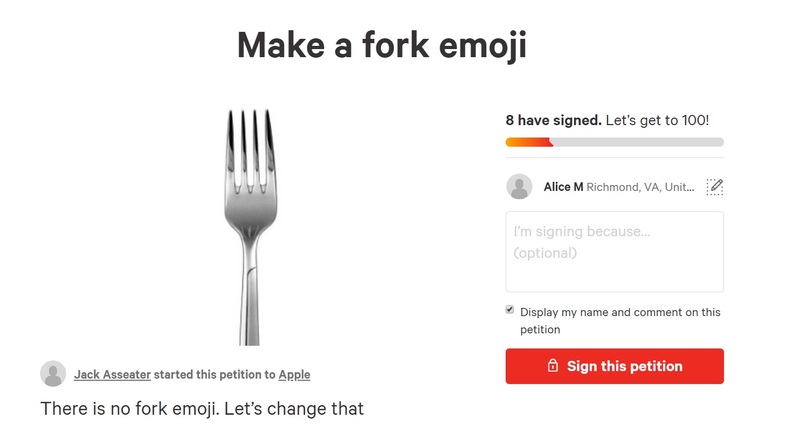 Petition: "Make a fork emoji"
Cause: "There is no fork emoji. Let's change that." Cause: "I'm tired of hearing about people starting a change.org petition for every damn little thing." Are you inspired? Because you should be. Humanity is doing big things. 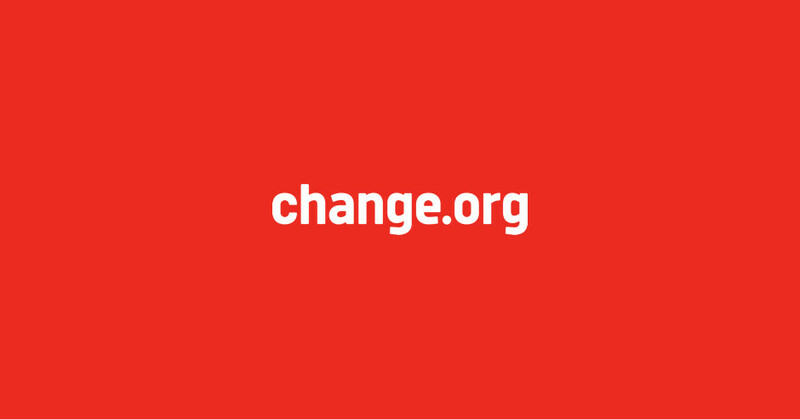 If you've ever created (or now feel inspired to create) a weirdly specific Change.org petition that you personally find slightly amusing, feel free to submit it for further consideration to our team of Weird Internet Specialists. And while you're at it, throw us a like on Facebook. Looking for more quirkiness on the internet? Here are 13 weird dating sites that actually exist.